1787. Captain Edward Brazier is on a mission: recently paid off from his frigate and comfortably off with prize money, he is headed to Deal to propose marriage to the young and lovely widow Betsey Langridge. He must navigate the bustle of the town's narrow streets that are busy with legal, illicit and depraved business flowing from and around the ships at dock. But all does not go well; between Betsey's brother and guardian, Henry Tulkington, prohibiting the match and Brazier marked out for trouble by a local smuggling gang, his plans are in disarray. Don't bother, not the normal. 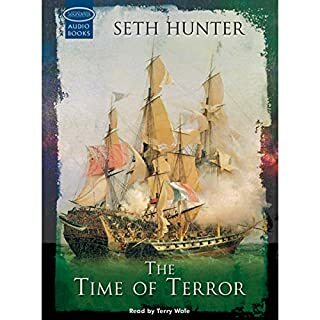 It is 1793, and Nathan Peake, Commander of the brig-sloop Nereus, is unhappy with his commission and is desperate for some real action. When revolutionary France declares war on England, he gets his chance. The French have killed their king and are about to embark on that violent period of bloodletting known as the Terror. Peake is entrusted with a vital mission to wreck the French economy by smuggling millions of French banknotes into the heart of Paris. In 1877, the Russo-Turkish War is reaching its climax. A Russian victory will pose a threat for Britain's strategic interests. 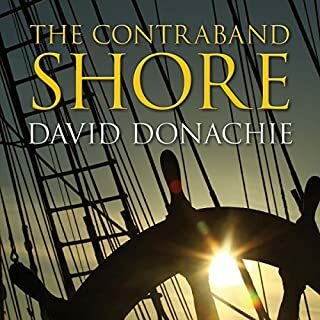 To protect those interests, an ambitious British naval officer, Nicholas Dawlish, is assigned to the Ottoman Navy to ravage Russian supply lines in the Black Sea. In the depths of a savage winter, as Turkish forces face defeat on all fronts, Dawlish confronts enemy ironclads, Cossack lances, and merciless Kurdish irregulars and finds himself a pawn in the rivalry of the Sultan's half brothers for control of the collapsing empire. 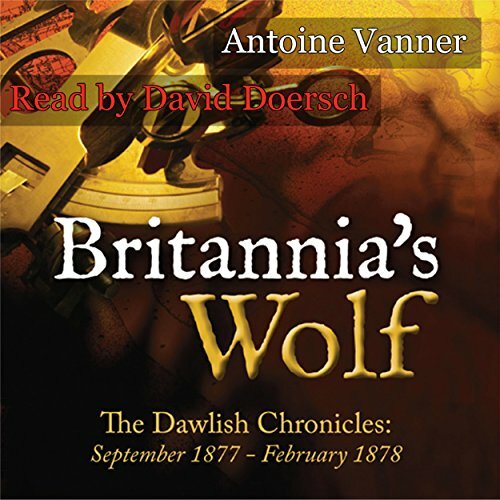 The Dawlish Chronicles series, which commences with Britannia's Wolf, is in the great tradition of the Napoleonic-era naval fiction of Forester, Kent, O'Brian, and Pope but is set in the late 19th century, as Britain's empire approached its apogee. In this period old enemies were still threats, new players were joining the ranks of the Great Powers, and the potential for local conflict to escalate into general war - even world war - was never absent. Britain's ability to project force rapidly and decisively on a global scale was assured by a Royal Navy that was in transition as new technologies emerged at an unprecedented rate. But force alone was often inappropriate, and conflicts often had to be resolved by guile and by proxy. It is in this world of change and uncertainty that Nicholas Dawlish, always resourceful, sometimes ruthless, occasionally self-doubting, must contend for the advancement and happiness he hungers for. What made the experience of listening to Britannia's Wolf the most enjoyable? What other book might you compare Britannia's Wolf to, and why? I'd compare it to Jules Verne - historical setting and the fascination with technology of the time - also the timings and suspense in the narrative. The author's enthusiasm and research of 19th century technology really shines through. 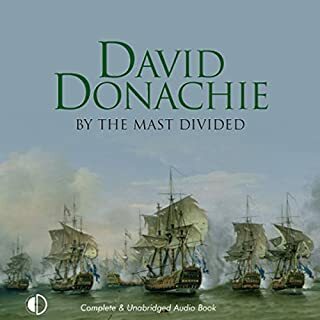 However it is also about warfare and Dawlish - with his humble beginnings and intelligence, his passion for the sea and ships, not to mention a strong moral sensibility - has a pleasing family resemblance to other great naval action heroes like Hornblower, Bolitho and Aubrey. 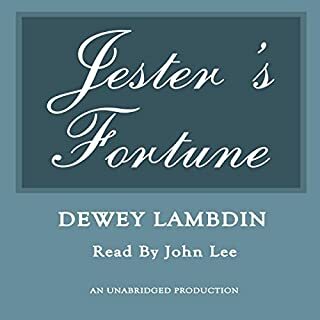 The narrator has a lovely voice which I could listen to for hours ... he reads expressively and with feeling. He's a great reader/actor - he really is - and I like him and would like to hear more read by him and I'm sorry to criticise but... He is an American. In itself that wouldn't be a problem except that - like nearly all Americans - he can't quite manage convincing British accents. 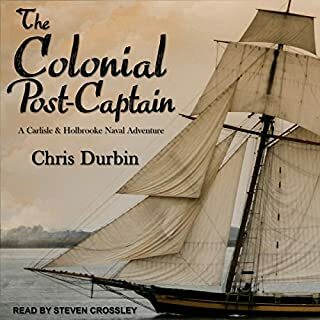 Why choose an American narrator to read a story about a British sea captain with characters who are all British, Turkish or Russian? It's a puzzle. As odd as if a British narrator was selected to read the Jack Reacher novels or Raymond Chandler. But I suppose the book is being aimed at the US market? In which case they will expect to have a US narrator and wont notice the glaring aural flaws and impossibilities which set teeth on edge this side of the pond. Some parts were sad and others wonderfully life-affirming. There was great hardship and heroism in it which does affect the reader's emotions. Great book - looking forward to reading or listening to more by Antoine Vanner. 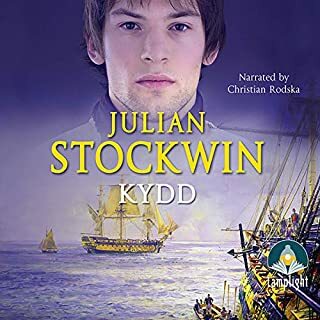 This is the first book of the Dawlish chronicles of which three exist though clearly from numerous flashbacks the author has carved out space for many prequels -- as happened with the Hornblower saga though Forester came slowly to the idea of back-filling the origins of his main character. There is so much of this that I had to check to see if I was reading the series out of order and it annoyed me from the get go. This is typical British naval genre with the twist that it involves ironclads. How cool is that. I only know of the Hazard saga by Stuart that takes place in Crimea that compares. Unfortunately there is very little description of life and battle aboard 19th C. ironclads in this book as most of the action takes place on land. The Turkish leaders are stereo typically mendacious but we are supposed to like the commoners. I couldn't tell them apart in this book. Vanner seems to be copying Forester in making his protagonist a tortured idealist forced to accept social pressure to reject the commoner he loves. The love angle is perhaps the most tedious part of the story. As for narration, Doersch is merely competent . The American accent jars against his "British" voiced characters and it sounds like an American doing stock impersonations of Brits. The results are often over the top and the voice of Dawlish is particularly awful. A better matched narrator would have greatly improved this book, but still not completely rehabilitated it. The fact of the matter is this was an uneventful period in terms of naval history. Vanner would have done better to have started with his prequels.